Quality living is many things. One being the ability to access modern needs at ease. The other is keeping your loved ones safe. And sharing in laughter when meeting the neighbours. It is also about having ample room for quality family time, or quiet time alike. All within safe, functional and reachable spaces. These thoughtful details are the inspiration behind the conception, planning and design of Seri Binjai. Just so you can live life as it should be – harmonious and carefree – in a space designed for all aspects of your life. 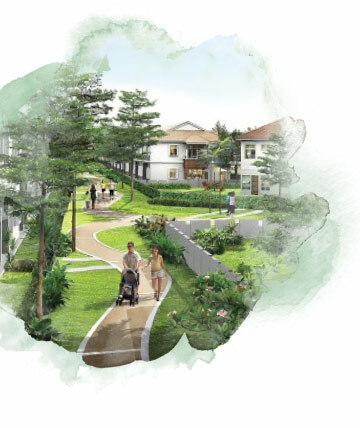 The entire enclave is a safe haven, where little ones can roam free in a serene environment away from interruptions, thanks to the security measures and the gated surroundings. Form wonderful camaraderie and be in touch with your neighbours and friends at the green, manicured park around the neighbourhood.